We offer a range of bespoke services from customisation of an existing style to full individual last making, all based on decades of experience. Any of these 9 soles can be applied to any of the individual styles in the collection. Simply complete the form below and we will confirm the price and delivery within 24 hours. Thank you, we will get back to you within 24 hours with a price. We will also send you a sketch with the colours included to confirm the order accurately. Tell us which style you are interested in and what size you normally take. We will send you a try on pair of shoes made on the last used in your choice so that you can confirm fit before we make your order. A pair of bespoke lasts made to your precise foot shape and the toe shape of your choice is an investment in lifelong comfort. 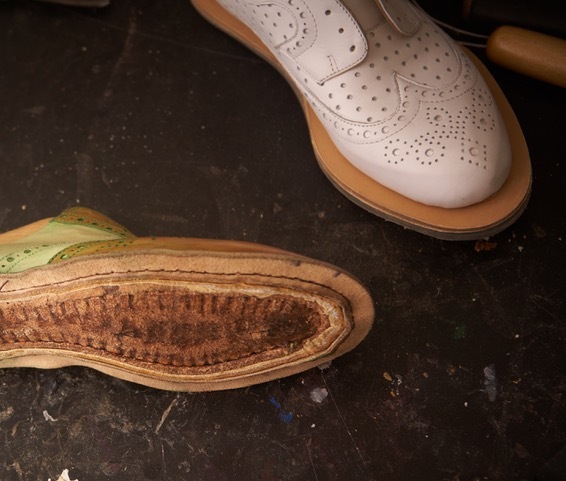 There is a one off cost starting at £600 for the lasts but any amount of shoes over the years can be made on these lasts at the off the peg price of the shoes. Any of our soles can be ordered plus the option of hand stitched welts.